Profile: Phase I, the Levant Foundation building, is a three-story, 65,500-SF, LEED-certified classroom building that serves as the front door of the campus. Phase II is a multi-story Parking Garage that created 440 new spaces for faculty, staff, students and visitors, as well as office and storage space for the Facilities Department. Phase II-B adds 15,000 SF to the Lower School Building, including new classrooms, a media facility, art and language rooms and an infirmary. 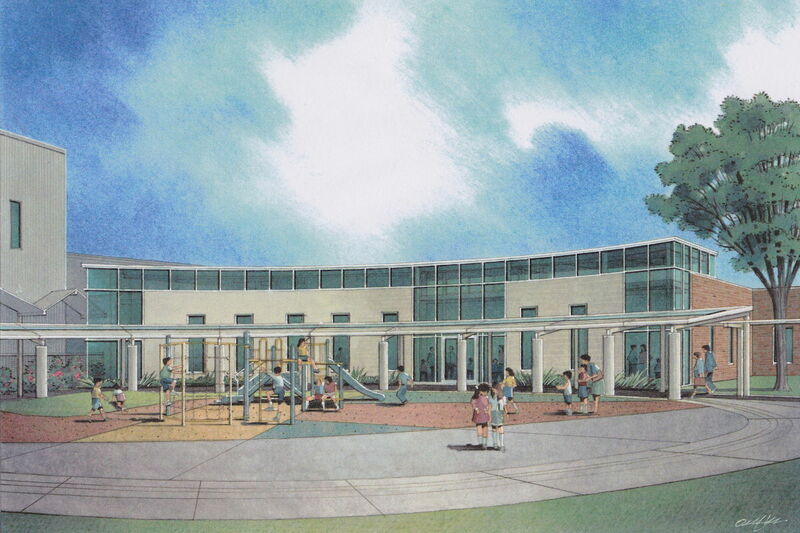 The Preschool Campus in Phase III features three buildings at a total of 73,000 square feet: library, classrooms, workroom and lounge, media and music rooms, multipurpose gymnasium. Services: DataCom Design Group provided the Master Plan for a three-phased project, and consulting and design for IT, AudioVisual, Security and Outside Plant communications connectivity for the campus.